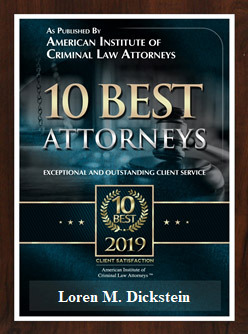 The Martindale-Hubble peer review rating process is a highly intricate and complex lawyer ratings process where attorneys are anonymously rated by other lawyers in their community based upon ethics and legal ability. Loren Dickstein was recently awarded an AV® rating which is the highest possible honor. 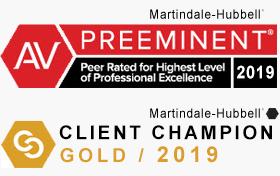 According to Martindale-Hubble, an AV® certification mark is a significant rating accomplishment – a testament to the fact that a lawyer’s peers rank him or her at the highest level of professional excellence. The ethical portion of the rating is based upon the lawyers adherence to professional standards of conduct and ethics, reliability, diligence and other criteria relevant to the discharge of professional responsibilities.